» Erwacht, Konig Waldemars Mannen wert! This fitting tribute to legendary conductor Rafael Kubelik sees him lead the Bavarian Radio forces in performances that proved him to be the worthy successor to Furtwängler, Walter and Kleiber. 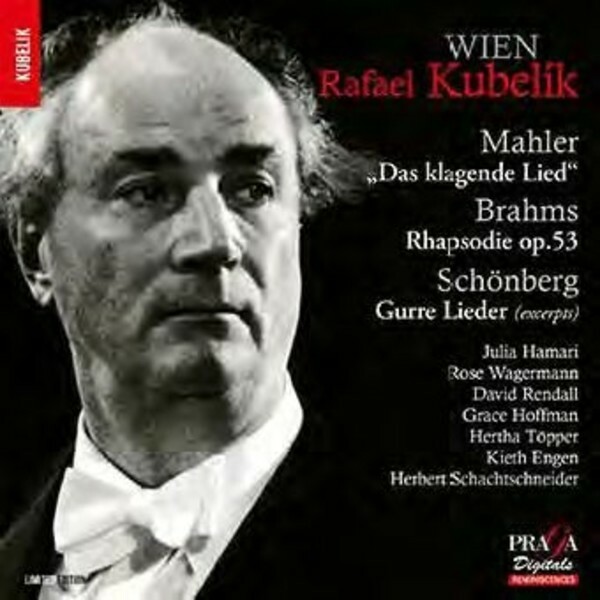 Recorded live in Herkulesaal and broadcast by Bavarian Radio, Munich, 18/6/1962 [Brahms], 8/6/1979 [Mahler]. Recorded live by Polydor GmbH, 10-12 March 1965 [Schoenberg].